It's Australia's third largest island, and home to amazing scenery and animals. I love the fact that sheep outnumber residents 300 to 1. 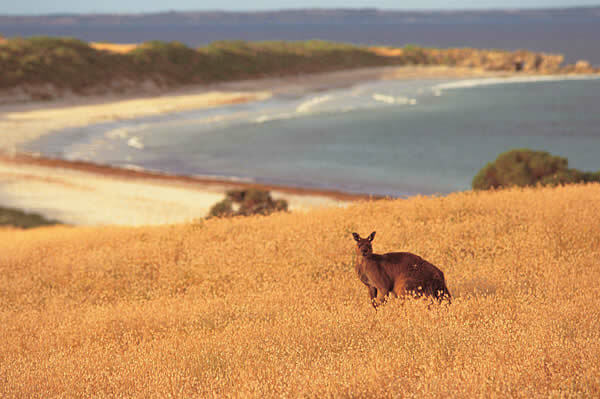 Wild kangaroos, koalas, wallabies, and penguins can be seen just about everywhere you go. 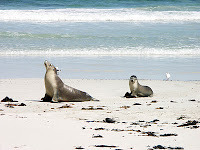 Want to find a Sea Lion? Look no farther than Seal Bay. Definitely worth the charter to see and experience...and who doesn't love seeing a penguin?